Charcoal briquette is manufactured under strict supervision of our internal quality control laboratory. It meets the standard of DIN 1860-2:2005. The use of an appropriate technology guarantees the repeatable, high quality in every bag. Exceptional properties of the briquette makes it an ideal alternative to charcoal, for food that requires larger amount of heat. The briquette burns out almost completely, thanks to minimal amount of water, leaving only a slight amount of ash. It contains no artificial additives nor synthetic binders. Only three ingredients are used in the production process of our charcoal briquettes: fine charcoal, water and wheat starch (certified for food contact). 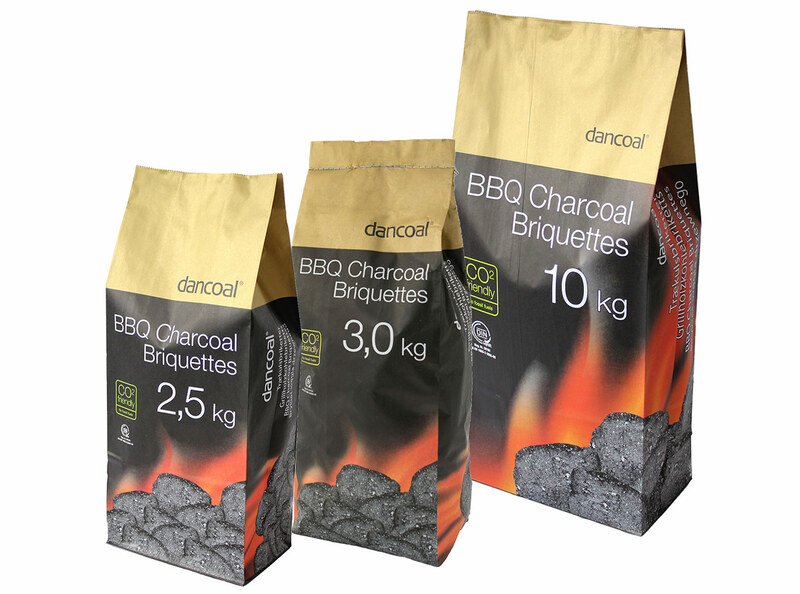 Our charcoal briquette is available in a wide range of packaging, with different weights, in different logistic specifications.